You can spot which images I used from this set, and see the full process over on the STAMPlorations blog. I'm entering this into Simon Says Monday Challenge - Something New and Simon Says Wednesday Challenge - Something New. Ingenious! Love your 'new' critter's smile and the kind of piggy snout is pretty darn cute, too! Hi, Shirley! What a super cute card. I just wanted to let you know about our Anything Goes challenges at Word Art Wednesday. Our sponsor this week is Simon Says Stamp $25. I hope you will stop by to play along with us! 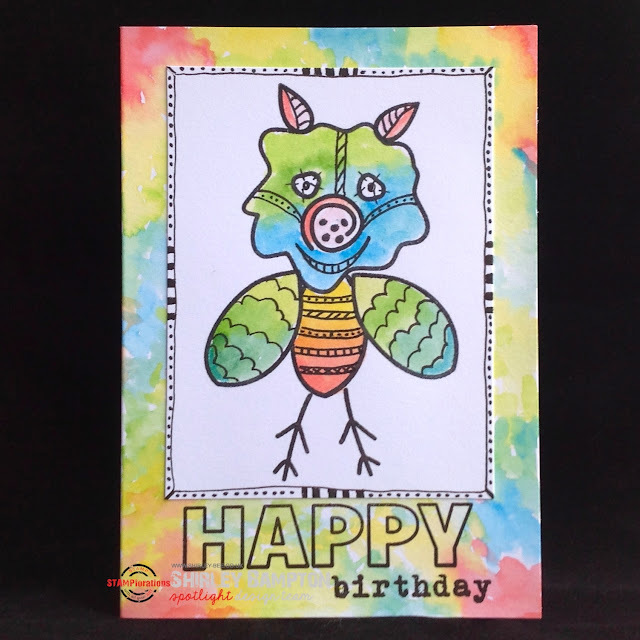 An adorable fun image Shirley, a great design with a fabulous background inking........your image is so cute and lovely sentiment!! Wow! How absolutely clever is this idea?? 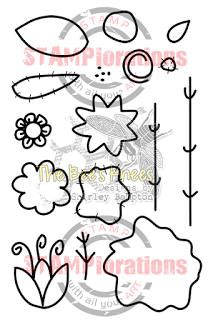 You've made me look at my flower stamps with a whole new set of eyes! I love how inventive you are and the color palette of this is particularly striking, too. You did a wonderful job (again :)) and I'm so glad you shared your work with us for this week's Simon Says Stamp Monday Challenge!